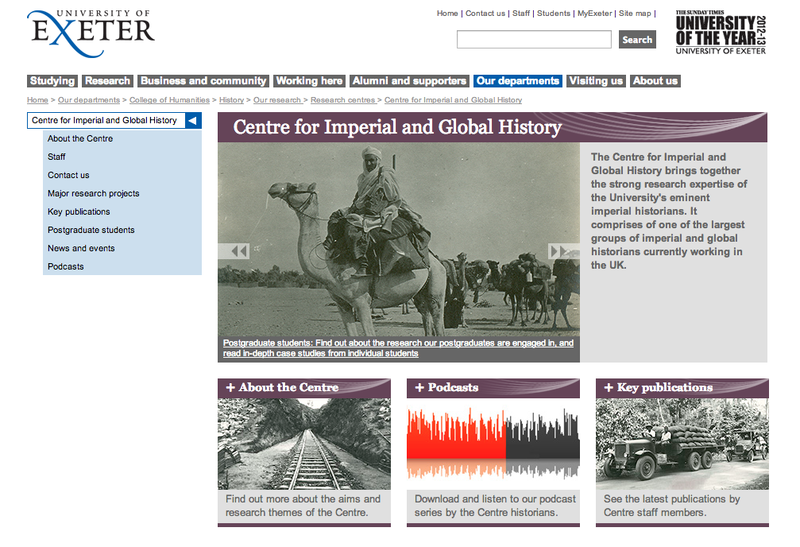 It is a pleasure to welcome you to the Imperial & Global Forum, the blog of the Centre for Imperial and Global History at the History Department, University of Exeter. 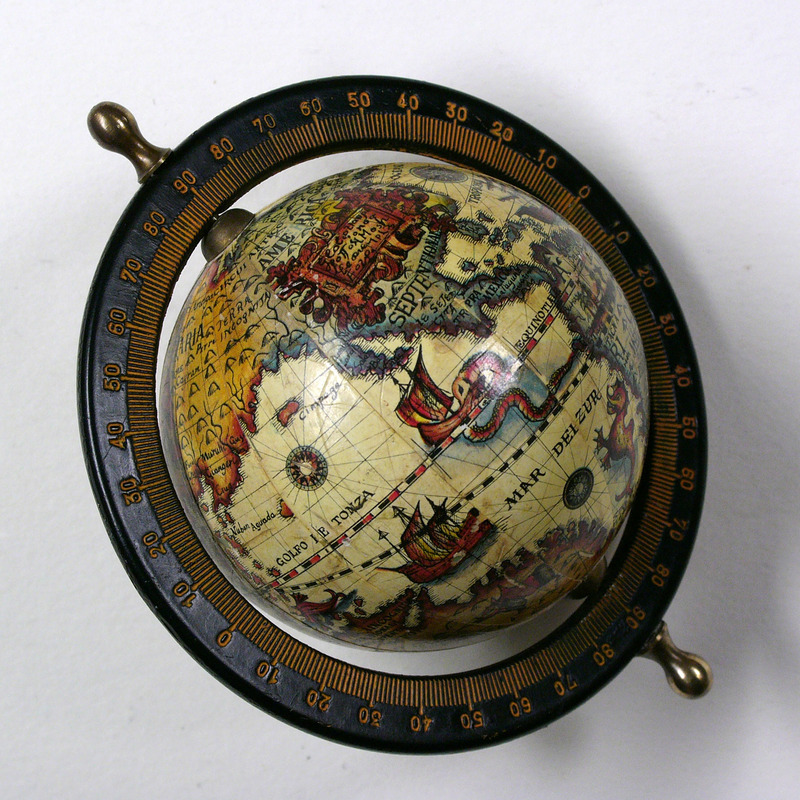 In it, contributors will tackle the controversies of empire and globalization, past and present. So please be sure to follow along, join in the discussion, and give us feedback on the blog, on Twitter, and on Facebook. We are one of the largest UK research groups working on the history of modern empires and their importance for understanding the making of our contemporary world. If you go to our Centre website you will find more details about the range of staff involved, the variety of countries they study, and the work they have recently published. You will also be able to learn more of some of the major collaborative projects that are supported by the Centre, the particular colleagues who are involved in them, and the impact they are having within and beyond the academic world. There are a number of symposia, workshops and conferences coming up during the next twelve months that will bring groups of us together to address and advance the above themes. If you are interested in attending any of these events please contact their organisers. We also have a large group of doctoral and postdoctoral students, so if you would be interested in studying with us, or in having Exeter host you on an externally funded postdoctoral scholarship, please feel free to contact us. Professor Andrew Thompson (Centre Director & Chair in History). My research focuses on the relationships between British, Imperial and Global histories. My recent publications include Empire and Globalisation: Networks of People, Goods and Capital in the British World, 1850-1914 (Cambridge, 2010) (co-authored book with economist Gary Magee); Writing Imperial Histories (Manchester University Press, 2013); Empire, Migration and Identity in the British World (Manchester University Press, 2013); and Britain’s Experience of Empire in the Twentieth Century (Oxford University Press, 2012). Dr. Nandini Chatterlee, who works on law and cultural exchanges in the British and Mughal empires – with particular attention to religious identities, family formation, and the styling of selves. Along with articles in such journals as the American Historical Review and the Journal of Law and Religion, her most recent book is The Making of Indian Secularism: Empire, Law and Christianity, 1830-1960 (Palgrave Macmillan, 2011). Dr. Gareth Curless, an ESRC Future Research Leader whose research focuses on the history of labour and trade unions in the British Empire, also with a broader interest in conflict and state building in post-colonial Africa. His doctoral thesis examined the emergence of organised labour activism in Sudan, aspects of which have appeared in Civil Wars and the Journal of Imperial and Commonwealth History. He is also co-convener with Dr. Stacey Hynd of the Global & Imperial History Network for early career scholars. Dr. Stacey Hynd, whose broad interests lay in African gender histories, violence and warfare in Africa, and in imperial and global history. Alongside her many publications, her current book project is entitled Imperial Gallows: Capital Punishment, Violence and Colonial Rule in British Africa, c. 1908-68. She is also co-convener with Dr. Gareth Curliss of the Global & Imperial History Network for early career scholars. Dr. Justin Jones, a historian of the religious, social and political history of South Asia since c.1800, namely colonial India, and postcolonial India and Pakistan. His publications include Shi’a Islam in Colonial India: Religion, Community and Sectarianism (Cambridge University Press, 2012), and The politics of work, family and community in India (Cambridge University Press, 2010). Dr. Tehyun Ma, a historian of modern China and Taiwan, with a broad interest in the ideas and techniques of state-building and propaganda in republican China and Taiwan. Her work has examined the takeover of Taiwan in 1945 and its first decade of rule under the Chinese Nationalist government. Her current research project focuses on the transnational connections in shaping the rehabilitation and reconstruction of China after the Sino-Japanese War of 1947-1945. Professor James Mark, whose research addresses the social and cultural history of state socialism in central-eastern Europe and the politics of memory, and who aims to connect the region to broader global histories and processes through transnational and comparative methods. His The Unfinished Revolution: Making Sense of the Communist Past in Central-Eastern Europe (Yale University Press, 2010) was shortlisted for the Longman History Today Book Prize, and chosen as one of the ‘best books of 2011′ by Foreign Affairs. Dr. Catriona Pennell, a historian of 19th and 20th century British and Irish history with a particular focus on the social and cultural history of the First World War and British imperial activity in the Middle East since the 1880s. Her most recent book is A Kingdom United: Popular Responses to the Outbreak of the First World War in Britain and Ireland (Oxford University Press, 2012). Professor Martin Thomas, currently working on the causes and consequences of the collapse of French and British colonial empires in Africa and Asia, and is interested in patterns of decolonization and the incidence or avoidance of colonial conflict after 1918. His most recent book is Violence and Colonial Order: Police, Workers and Protest in the European Colonial Empires, 1918-40 (Cambridge University Press, 2012). Next Winston Churchill – Liberal Imperialist? “The relationship between globalization’s past and globalization’s present, and our argument that it is fundamental to understanding this relationship are the globalizing forces of empire” – quote from 4th para down. This doesn’t seem to me to make sense. Should it not read: “The relationship between globalization’s past and globalization’s present, and our argument that, fundamental to understanding this relationship, are the globalizing forces of empire.” ?? Eye wood think with all the PhDs around, simeone would have noticed the gross mispelling of “Enroll” on the homepage ! The whole world sees this !! Is anyone going to talk about British colonialism and the complexity of the various situations in the Middle East focusing on the time period from about 1850 to post 1948? These article content are genuinely superb and i on a regular basis pass them on to my college students that are facing/struggling with exams and analyze skills – they pay attention to you in the way they don’t to me!